How can organisations ensure that they are fully prepared for further upheaval and that any potential transition to IFRS is as painless as possible? In our latest eBook we outline some of the major changes to the IFRS standards, what they mean in practical terms and offer advice on avoiding some of the potential pitfalls. 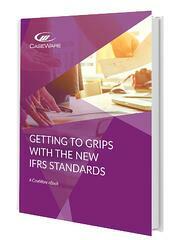 If you want to read more about the new IFRS standards, complete the form on the right now to download a copy of our eBook.